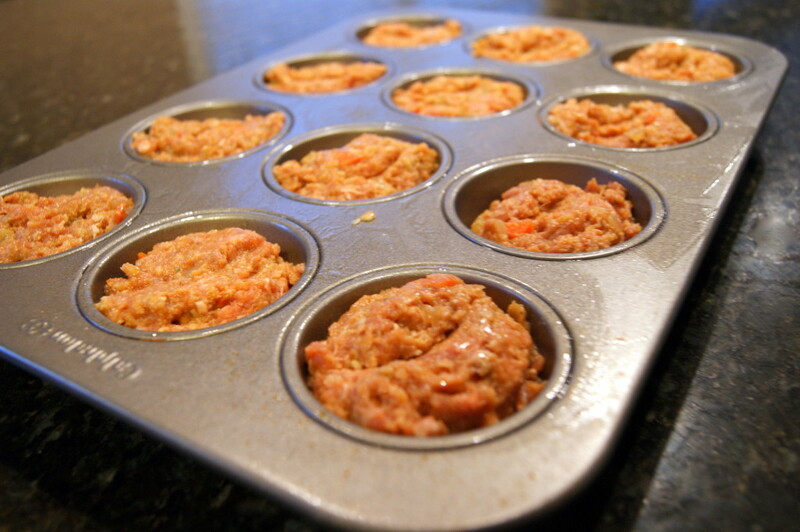 I love a good classic meatloaf but what I love even more is these individual muffin tin meatloaves. They’re not only a hit with kids but they also cook up faster than a traditional loaf. 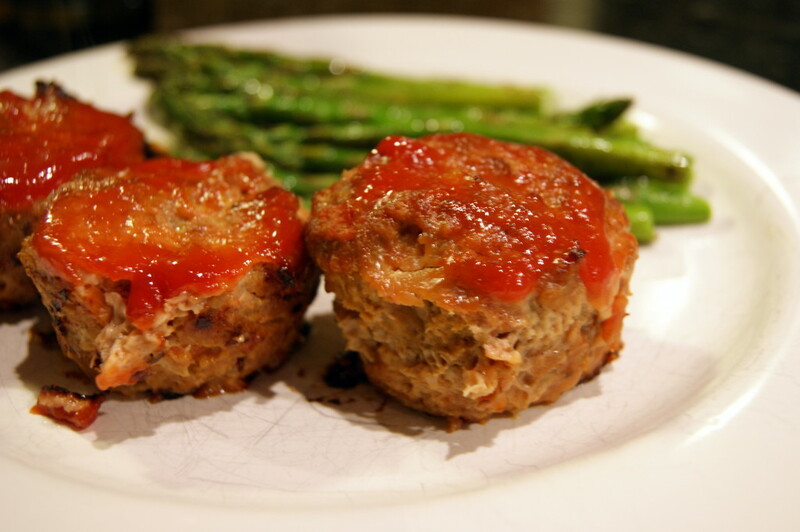 Most often, I use ground turkey when I make meatloaf, but you can substitute ground beef if you’d like. They’ll taste delicious either way! 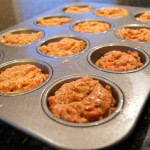 For a new twist on meatloaf that even the kids will love, just scoop your meat mixture into muffin tins! 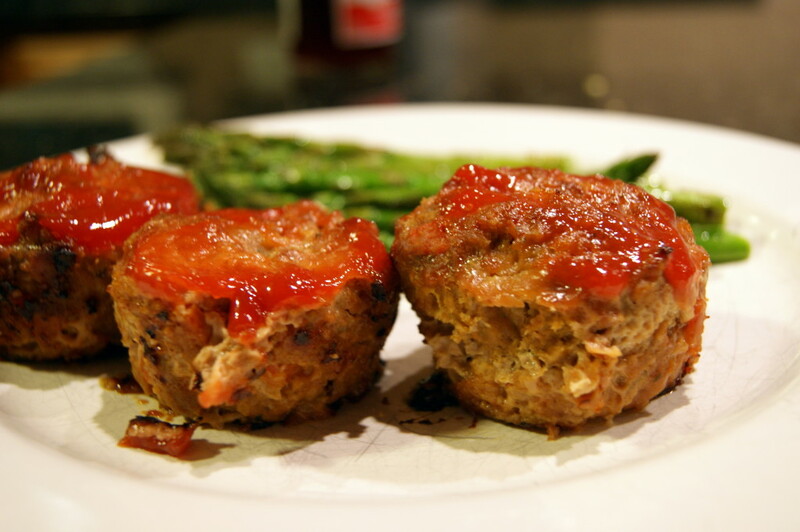 Muffin Tin Turkey Meatloaves with a delicious tomatoey glaze. Add oil to a medium-size pan over medium heat. Add carrots, onion, celery, garlic, chile powder, cumin, half of the salt and pepper and saute for 5 – 7 minutes until everything has softened. Add 3 tbsp. of the Worcestershire sauce and 1/4 cup of the ketchup. Continue cooking for 3 – 4 minutes until slightly thickened. Remove from heat and set aside to cool. Meanwhile, place turkey in a large bowl. Season with remaining salt and pepper. Add remaining Worcestershire sauce, 1/4 cup of ketchup, egg, breadcrumbs and reserved sauteed vegetable mixture. Mix gently with your hands until everything is evenly combined. Evenly divide turkey mixture amongst a 12 muffin tin. 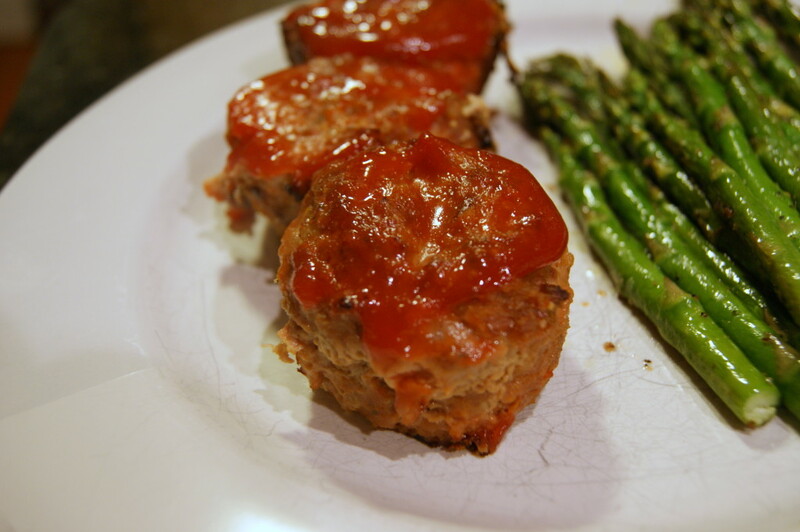 Remove from oven and brush the tops of the meatloaves with remaining 1/4 cup of ketchup. Return to oven and cook for another 5 – 7 minutes until ketchup has thickened. Let rest 3 minutes before serving.